Russia needs to reach out to a wider audience in India in order to combat reports from hostile outlets that find its way into Indian newspapers and television channels. A combination of paternalistic media attitudes and the country’s vast and diverse set of problems have ensured that Indian newspapers and television channels put their lion’s share of reporting on domestic news. Politics and celebrity news, as well as violent and sensational headlines tend to work for most publications in the country. When it comes to international news though, events that are not cataclysmic or without direct relevance to India, the media outlets tend to rely on western news agencies and publications. When it comes to the urban Indian, there are the types who rely on the small articles that are published in an obscure page and others who depend on a variety of sources of information. Offhand it is possible to state that more can be classified as belonging to the former group than the latter. The reliance of the Indian media on western news has largely led to a great number of people being misled by such reports that have mostly been parroting the western line on Russia and the events in Ukraine. As a result, many a casual reader is under the impression that Ukraine is some sort of bastion of liberal pro-European people, who are being harassed by Big Brother Russia. At a runner’s get-together ahead of the Hyderabad Marathon, a few people from different parts of India asked me why Russia wasn’t letting Ukraine live in peace. After I presented an alternative viewpoint, most of these people were surprised to hear something that contradicted the small news hidden away in the tiny world sections of their favourite daily newspapers. Unfortunately, websites such as this one cannot do enough to combat the deliberate misinformation campaign being discreetly and mischievously waged against Russia in India. Russia needs to reach out to a much larger base of readers and viewers and fight fire with fire. For starters, dedicated programmes on radio in Hindi and other Indian languages would play a good part in reaching out to the people in a country that is rapidly urbanising, yet highly rural. Sadly, the Voice of Russia no longer has radio broadcasts in the country on short wave, but some sort of arrangement can be made with All India Radio and its stations in different states to have some sort of dedicated Russia programs. I am aware of some initiatives on FM channels but they are not even close to being enough. 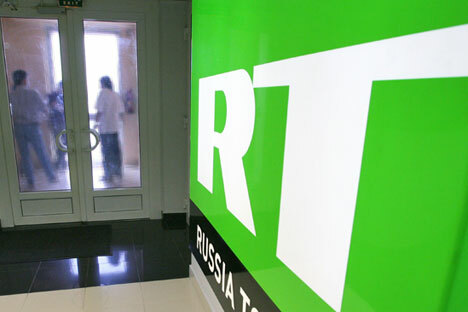 Russia Today, which is known as RT, should also consider a stronger India focus. Again, I am neither endorsing nor outright rejecting the channel’s approach to reporting, but in many ways, it has managed to show the world an alternative perspective. If RT had dedicated news programmes in Hindi and other Indian languages, that would reach a much wider base in India. Russia’s state-run television channels could also work on some sort of tie-ups with both Doordarshan as well as some of India’s private channels. Russia should also encourage more Indian publications to have correspondents and bureaus in the country. There are over 4000 foreign correspondents living in the Russian capital at the moment and India is probably only represented by the Press Trust of India. It is hardly surprising why publications from countries hostile to Russia would want their journalists in Moscow, especially when they are gleefully parroting their government’s line instead of actual reporting. A larger Indian press corps in Russia would help more Indians get the real picture of the country and geopolitical events. It would be in Russia’s best interests if it simplified the whole process to issue press visas from friendly countries. Such measures are needed in order to reach out to the masses, who often read only what a western journalist wants them to believe. In urban India, words such as “communist” and “leftist” have largely taken negative connotations. It does Russia’s case little good when those public figures that speak and write in support of the country live in a time-warp where the Soviet Union still exists. These “intellectuals” are more nostalgic of the USSR than a vast majority of Russians, and in many ways actually help spread western misinformation about Russia than combat it. India needs a new generation of Russia-experts. This would be a group of intellectuals that know and understand present-day Russia, its problems, its psyche and its people. If the leftists and random communists from New Delhi continue to hijack the Russian agenda and act like the country’s well wishers, young India is going to have a completely wrong impression of Russia. The rapid rise of India-Russia relations post-2000 has proved that neither communism nor the Cold War were the real reasons that the countries were close until the collapse of the USSR. Indians need a fresh look at Russia with fresh perspectives from young Indians.